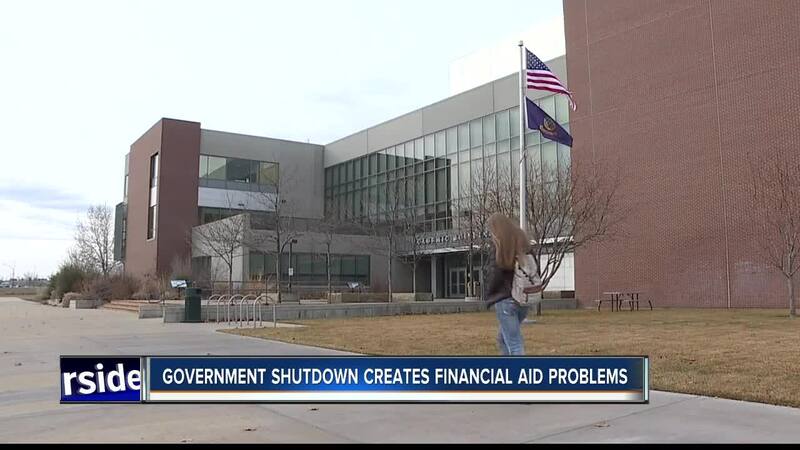 NAMPA — We're now on day 19 of the government shutdown and colleges nationwide are taking a bit of hit. Due to the shutdown, colleges are unable to verify a students financial aid eligibility, a process in which the college draws upon the IRS. Luckily, for now, most college students already have their financial aid taken care of for this semester. Ashley Smith, the Communication Representative at CWI said, "There may be an issue for CWI to receive our funds from the Department of Education, but for our students, they'll still be able to apply and start classes, and they'll be able to finish spring semester." And as long as the government shutdown is resolved by the end of the semester, Smith says it won't impact financial aid eligibility moving into future semesters, specifically at CWI. Because of its nationwide effects, students are encouraged to talk with their individual financial aid offices to discuss their education and payments.